Each DanceLife Unite LIVE REGIONAL EVENT attracts a hive of dance enthusiasts! Advertise and promote your business at DanceLife Unite LIVE REGIONAL EVENTS where thousands of dancers and supporters in each region have the opportunity to experience your brand. Whether your business is a local, national or international brand, DanceLife Unite gives you the perfect opportunity to highlight your products and services through Advertising in our Event Programs, Merchandise Sales Booths, and Regional Sponsorship Opportunities. Enquire about our advertising with DanceLife Unite now by contacting us below. Booth/Stall rates are $100+gst per day plus a Gift Certificate Donation. Please register your interest by emailing us using the contact form below. NB: Our major sponsors have priority at all events. DanceLife Unite gives you the opportunity to promote your business to our competitors and audience in specific regions by sponsoring major prizes at our LIVE REGIONAL EVENTS. Please register your interest by emailing us using the contact form below. NB: Our major sponsors have priority at all events. We are very interested to hear from businesses that could donate prizes, gift vouchers, etc for DanceLife Unite in return for advertising space at an event. If you think this sounds like it could suit your business please register your interest by emailing us using the contact form below. NB: Our major sponsors have priority at all events. 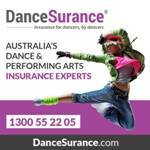 DanceLife Unite offers our National Sponsors exceptional value for money invested in the next generation of young Australian dancers. All enquiries please contact Director Chris Duncan on M: 0419 436024 or register your interest by emailing us using the contact form below. NB: Our major sponsors have priority at all events.